13-Feb-2018: Official Apache JSPWiki 2.10.3 release is out! 11-Dec-2017: JSPWiki development now occurs on GitHub! 20-Feb-2016: Official Apache JSPWiki 2.10.2 release is out! 29-May-2014: Official Apache JSPWiki 2.10.1 release is out! 01-Feb-2014: Official Apache JSPWiki 2.10.0 release is out! 17-July-2013: Apache JSPWiki has graduated from the Incubator! 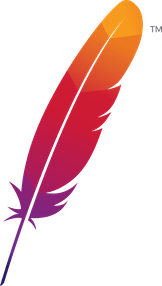 It's now a top-level Apache project. 15-May-2013: Official Apache JSPWiki 2.9.1-incubating release is out! 01-Dec-2012: Official Apache JSPWiki 2.9.0-incubating release is out! 01-Nov-2012: New mentor - Siegfried Goeschl. 01-May-2012: New, yet familiar, project website. 23-Jan-2012: The previous attempt to graduate to an ASF top-level project did not succeed for various reasons. A new effort is started to graduate with a 2.9 codebase (based on 2.8), so no JCR backend and no Stripes, but the traditional JSPWiki, the progress can still be followed at our JIRA issue tracker. 24-May-2009: We started an effort to graduate to an ASF top-level project, the progress can be followed at our JIRA issue tracker. 24-Apr-2009: Well, it seems that it took a few more weeks to actually make the release - and we ain't there yet. But Harry Metske and Florian Holeczek joined the PPMC, which is of course good news. 29-Jun-2008: JSPWiki trunk is now completely Apache-licensed, and we're looking to have an incubator release in a few weeks. Also, Harry Metske joins us as a committer.